“Ayla Nightshade prepares to meet with the Kardise ambassador to sign a treaty between Mirrorvale and Sol Kardis. However, negotiations are halted as the ambassador is discovered dead in his chambers, poisoned by the same bottle of taransey he and Ayla had shared the night before. Ayla has been framed for murder and the peace between two kingdoms is at stake. Tomas Caraway and his Helmsmen must rush to prove her innocence before war destroys all they have fought for. 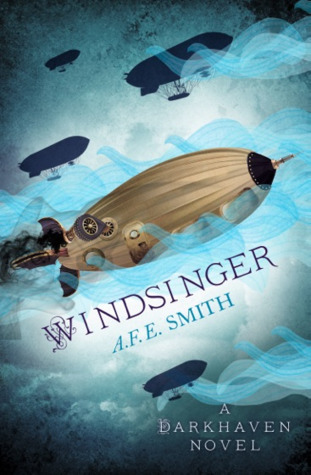 Along the way they discover the plans for a Parovian airship, the Windsinger, which reveal a chamber designed for a special cargo: a living one.